I don’t know about you but I have struggled with my sleep for over 15 years. My rheumatologist says it even has something to do with why I have Fibromyalgia and Chronic Fatigue Syndrome. I have found ways to improve my sleep but never something so significant that I would want to share it with the world. I started sleeping a bit better back over 7 years ago when I started eating Beyond Healthy Chocolate before I went to bed each night. 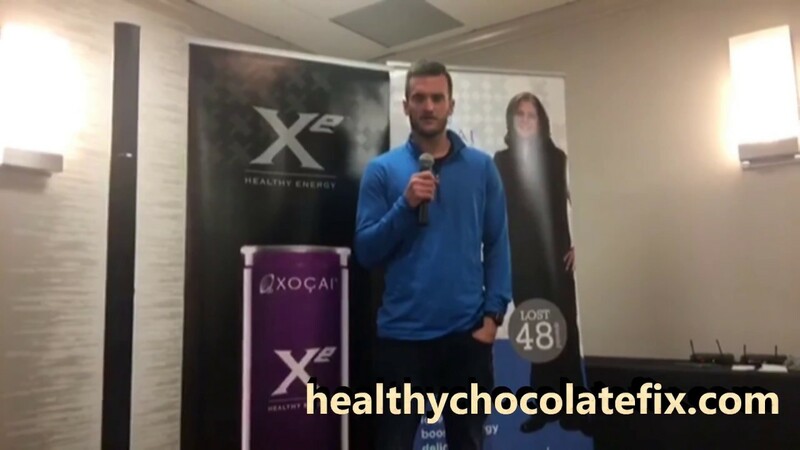 One Beyond Beyond Healthy Chocolate Power Square or Xobiotic has helped me with improved sleep. (no caffeine in this chocolate) Unfortunately there are some days that nothing I do has helped. Yes, I tried Melatonin for quite a while and I did not receive the benefits I had hoped for. Over the years I had also tried sleeping pills with horrible side effects. 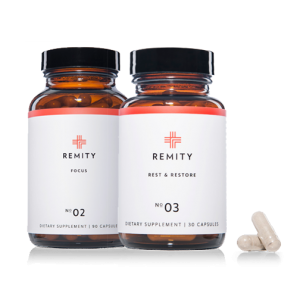 A new product called Remity Rest & Restore recently became available that naturally helps with sleep. After researching the ingredients, I decided to try it for a month. I took it every night 30 minutes before I just finished the first month and am happy to report improved sleep. I have had 50% more improved sleep than the month before. I am hopeful my sleep will continue to improve but honestly I am thrilled with the improvement in the last 30 days. “REST EASY AND PROMOTE DEEP, RESTORATIVE SLEEP—WITH REMITY REST & RESTORE™. If you are trying a natural solution to a more restful sleep, Remity Rest & Restore is just what you are looking for. Right now you can order the Remity Core Regimen that includes the Rest & Restore product as well as the Remity Focus which conditions your mind to operate at Peak Performance for just $65.00 shipped as a preferred customer. You also qualify for FREE PRODUCT every 3rd month for the first year if you choose to order monthly. Try it out and see for yourself what you have been missing. We are Three Sons Marketing LLC of Southwest Florida. Contact us today with questions at 941-216-5727 or order direct at GoColdPressed.com. Check out this testimonial from Tad Carter, a 26 year old who has been taking the Remity Rest & Restore as well as Remity Focus with great results. What do you have to lose? Try it today! PreviousCan Chocolate Help Your Brain Health?